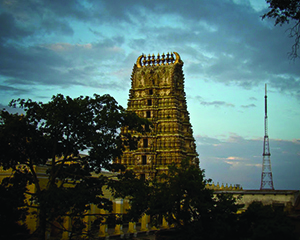 A well- known high landmark, Chamundi Hills can be viewed from all corners of the Mysore City. Chamundi Hills canbr reached by road(13 Kms from the city) or by 17th Century 1000 and odd steps from the foot of Chamundi Hills. Atop the hill is theAdobe of Goddess Chamundedshwari, an incranation of Godess Durga, which is 12th Century Temple.Halfway upthe Chamundi Hills is the Nandi, Big Bull, a majestic 4.8 meters monolith sculpture. Near the temple you get to see gigantic statue of Demon Mahishasura. If you are driving by yourself, you could pullover the viewpoints provided by the Forest Department to see the panoramic view of Mysore City.This Temple is open from 6a.m to 9 p.m.
Also called as " Jayachamarajendara Zoological Gardens " was set up in 19th Century by the royal patronage. This zoo houses some of the rare and exotic species, in lush green surroundings close to natural habitat for animals and birds. 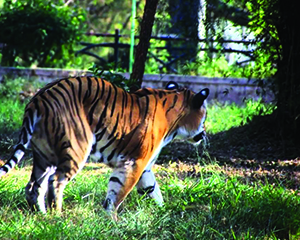 Mysore Zoological Gardens is also famous for breeding rare animals in captivity. The zoo is on the way to Chamundi Hills and the gates are open for Public from 10 a.m to 5 p.m. everyday except on Tuesday. Its adviceable to refrain from feeding or teasing animals. Safety precaution is " not to put hand inside the cages". A must for people visiting Mysore Zoo is a ride on the Elephants. The authorities at the zoological gardens have set about a model way of creating awareness among the general public to sponsor the expenses for a period of one year. This palace was built in the year 1861 for the wedding ceremony of His Highness The Maharaja of Mysore Sri Krishnaraja Wodeyar & later converted into an art gallery in 1875. It exhibits painting dating back to that period. The Gallery has the collection of paintings, where the artists have used natural vegetables and mineral dyes for their work.You get to see some exclusive traditional Mysore style painting along with some of the oil painting from contemporary artists like Ravi Varma and Svetoslav Roerich. This gallery also exhibits some of the objects used by the Royal Family. Visiting hours is between 8.00a.m to5.00 p.m on all the days. 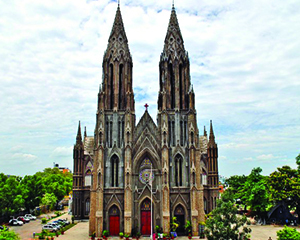 A beautiful cathedral reminiscentof medeival architectural style, is one of the largest churches in the country. In Gothic style, the church is imposing structure with stained glass windows made in France and twin spires, which are 175 feet in height. Every photographers challenge and delight in farming the gigantic towers of the church. 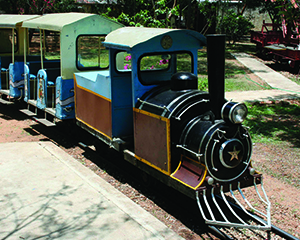 Situated near the Mysore City Railway Station has exhibits of luxury coach used by Mysore Royal Family, locomotive steam engines dating back to 19th Century.This Museum is first of its kind in India & was built in the year 1979. The Maharani's Saloon carriage that boasts of a kitchen , dining car unit and a royal toilet dating back to 1899 is worth seeing. One of the first steam engines built, it is indeed remarkably well kept. there is also a battery operated mini-train which takes one for tha fancy ride along the grounds. This market is listed in every tourist guide book. This market has vast space where fresh fruits, vegetables, meat and other products are available.There are four entries from all the direction to enter the Market. 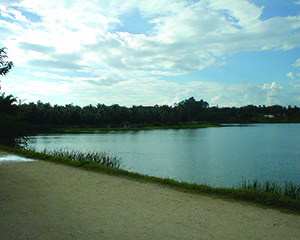 These Lakes are the most prominent lakes in the Mysore City. it has always inspired poets, litteraterus, bird watchers, nature lovers and health freaks.Sasonally these lakes attract migratory birds from all over the world. Karanji lake has on the best walk-in aviary built similar to the Jurong Bird Sanctury in Singapore.Karanji Lake also houses one of the first Butterflies Park in India. Boating Facelity is Abvailable in Karanji Lake. kukkarahalli Lake is the most visited place for health conscious public for morniong and evening walk. 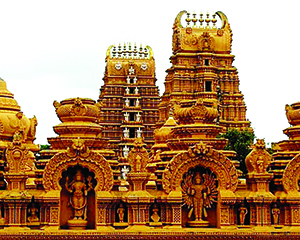 This temple built recently is a wonderful architectural replica of Lord Venkateshwara in Tirumala Tirupathi. This temple is annexure to Sri Ganapathi Sachidananda Ashrama. 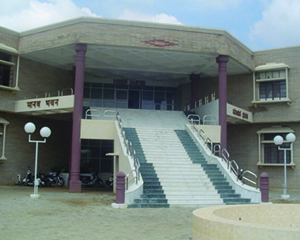 Nada Mantapa is located inside the Ashrama campus. The pillars of this mantapa have designs of the nusical instruments. These pillars are designed such that they are positioned without obstructing the view of the stage from any angle. he Maharaja Palace built in Indo-Saracenic style with domes, turrets, arches, housing intricate sculptures of the Hoysala Dynasty. The Palace is treasure for exquisit carvings, works of art from all over the world.the Majestic Darbar Hall & Kalyana Mantap has colorful representation of Dasara Celebrations, has ornate ceilings & many sculptured pillars. The mangificant jewel studded Golden Throne also known as " Golden Howdha " is housed in the Palace. This Palace e\was burned down in the year 1911.Even to this day Public areallowed through the eastern side entrance called Varaha Entrance. to the Mysore Palace.During the dasara Celebrations the public can get to see the Golden Howdha.the World famous Palace is illuminated by over a million of usually on Sundays & Public Holidays.It is open for public from 10.30 a.m to 5.30 p.m.Admission by tickets. 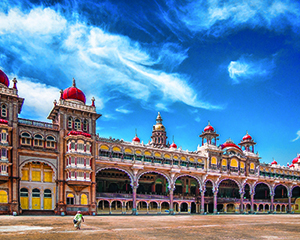 The residential museum is a part of Mysore Palace. Situated in the grouns of Palace, the musuem offers beforeb you a magnificent assortment of the belongings of thr Royal family. It's open from morning to evening with an entry fee attached. 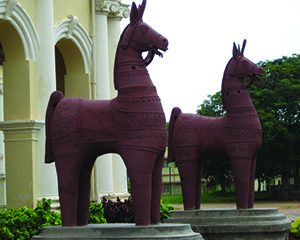 Jayalakshmi Vilas Mansion is a converted folklore museum situated in spawning University Campus at Manasagangothri.This museum is renowned for tis folklore objects. Some objects in this museum have acquired international exposure through catalouges etc., The Jayalakshmi Vilas Mansion is a 1,20,000 Sft.mansion and is worth a llok. 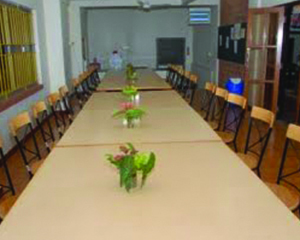 The main patrons for this are students and foreigners. One can get to see stringed puppets, leather puppets, and various objects of folklore importance at this museum. This museum is open from 10 a.m to 5 p.m on all the days except on Sundaya and Government Holidays. 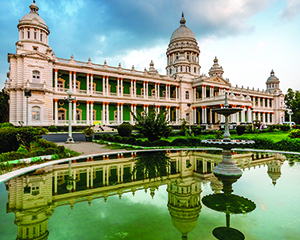 This palace was built by Sri Krishnadevaraja Wodeyar IV in the year 1921 as a guest house for friends from abroad. Presently this hotel is converted into a Star Hotel which is managed by ITDC. 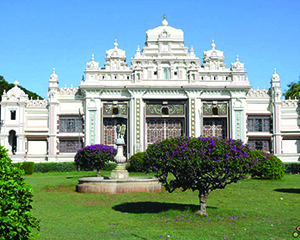 This Palace has a very pleasant surrounding and has the Chamundi Hills by the side. Presently Lalith Mahal Hotel as it is called is the favourite destination for the VVIP's world over. There is a helipad facility in the vicinity of Lalith Mahal Hotel. 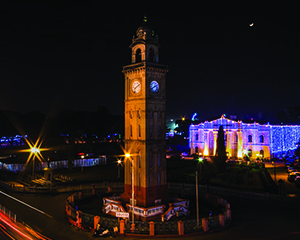 There are two clock towers in Mysore.One is situated near Devaraja Market, this is called as Chikka Gadiyara (Small Clock) and the other is located opposite the Town Hall, near Gandhi Square called Dodda Gadiyara (Big Clock) .These were installed during the great administration of the Wodeyar Dynasty. 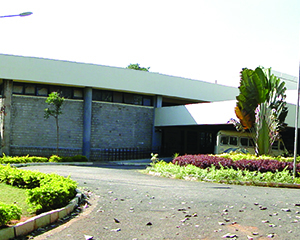 Situated in Bogadi, is the Regional Centre for Anthropological studies. They have a museum exhibiting objects that belonged to the various settlements and also have a huge auditorium. Located on bank of Karanji Lake with backdrop of Chamundi Hills, the museum provides a unique opportunity to explore the natural world, understand the story of life, diversity of plants and animals and the importance of canservation of natural resourses. The exhibits presents a judicious mix of specimens, models, translites, Audio-Vedio aids, presentation of natural habitats in the form of diagrams, thematic exhibits & participatory exhibits etc., there is a temporary exhibition hall and a discovery center where learning can be fun. This museum is 5 kms from the Mysore Railway Station and is open from 10 a.m to 5 p.m all the week, except on Mondays. This centre has been established for promoting study, research and development of Indian Culture , Finearts Literature, Performing and Traditional Arts, Ayurveda, Yoga, Dance & Music in India as well as in the countries overseas which are influenced by this. This centre will collorate with various Universities overseas and will cater to their needs for training and educating their students in the feilds of Indian Culture, Fine Arts, Literature. Perfoming and Traditional Arts, Ayurveda, Yoga Dance and Music in Mysore. This is ancient town, situated on the left bank of the River Cauvery, 45 kms South East to Mysore or 24 kms from Shivanasamudram. 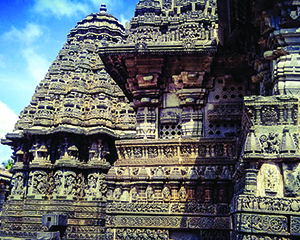 Here are Sri Kirtinarayana, Sri Kartikeya, Sri Vaideeswara, Sri Pataleswara and Sri Maraleswara temples. Many monuments lie buried in the sand. Panchalinga darshanam is held once in 12 years coinciding with existance of some stars. This town is 16 kms from the Mysore city on Bangalore Mysore Highway has many attractions from the past history. 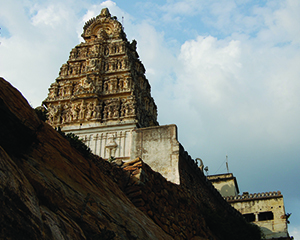 The fort built by Sri Kanteerava Ranadheer Wodeyar houses the Sri Ranganatha Swamy Temple and a Mosque. This fort is on bank of the River Cauvery. Apart from the fort, you could visit Daria Daulat Bagh built in 1784 also known as Tippu's Summer Palace.The summer palace is made of teak and this structure is Indo Sarcenis Style having ornamental & beautiful freceous. Presently Daria Daulat Bagh is converted to a museum housing the objects used by Tippu Sultan and his losing Battle against the British. 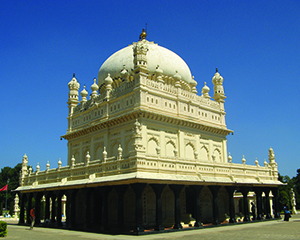 Further to Daria Daulat Bagh you can reach Gumbaz, Tippu's Tomb with splendid ebomy doors inlaid with ivory. Further to Gumbaz is Sangam Place very sacred for Hindus. At, Sangam tributaries of river Cauvery converge. While returning from Sangam, a deviation is required to visit the scenic Goshai Ghat. Another sacred place in the vicinity is Godess Nimishamba Devi Temple. Every Tuesday & Friday people throng to get the blessing. This temple is on bank of the River Cauvery providing an atmosphere suitable for picnics. This falls is most visited place for lazing around and relaxing in river water. You will have to ensure you have enough supply of food and beverages. Though drinking alcohol is strictly prohibited, people do sneak in with some beer. This place is frequented by film troupes as this provides a very good backdrop. Swim with extreme caution, as there are lot of whirlpools. Overall this place is a very good picnic spot. About 5 kms from Pandavapura.is a big lake with natural beauty attracks lots of people from filmdom for film shooting. This Bird sanctury is situated 10 kms from Maddur on Bangalore Mysore Road. 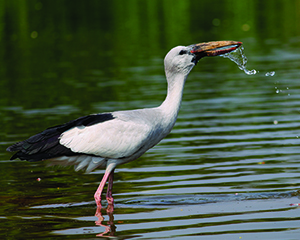 Painted stork, pelicans come here during the breeding season, commencing in January till about the end of June. This sanctury ia an island created by River Cauvery near Srirangapatna. This sanctury is the nesting & breeding place for various migratory species from all over the world. This place is very delightful for birdwatchers, wildlife photographers, and nature lovers. You could use the boats to see the crocodiles and the birds 5 feet away. 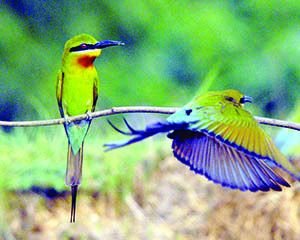 Best time to vist this Bird Sanctury is during months of July, August & September. Boating facility ia available on payments. Situated in the rocky hills of Yadugiri, Melkote is well known as the birth place of Great Visistadvaitha Philosopher Ramanuja. 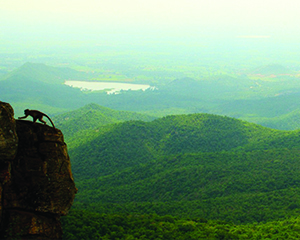 It is located 50 kms North from Mysore City. This very quite and serene place draws piligrims to the Chellapaillai Temple. The idols here arec Krishna and Narashimha and are constructed on the topmost peak. Viramudi Utsav during March & April attracts piligrims from outside Karnataka. This town is also famous for handlooms. About 32 kms East from Mysore by road, a village on the left bank of the River Cauvery.Sri Chennakeshwara Temple built here in 1268 A.D with exquisite carvings, is a good example of the Hoysala Style of architecture. Visiting hours is 9 a.m to 5 p.m. Admission by tickets. Situated about 100 kms from Mysore. The place is the Jain Pilgrimage centre and considered as one of the oldest and important Jain Cultural epicentre in India. The mammoth statue of Lord Bahubali is the main attraction of Shravanabelagola. Ganga King constructed in 981 A.D. 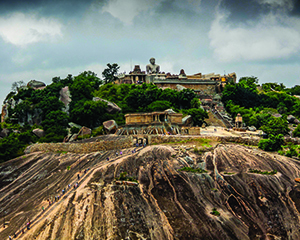 This is the World's tallest monolithic statue at an imposing 17 metre height on the majestic Indragiri Hill.To reach the Statue of Lord Bahubali atop Indragiri Hill, one has to climb 614 rock cut steps, which is not much of an effort considering the magnanimity and the religious significance of the place. 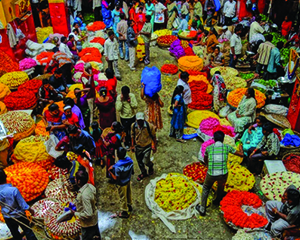 Mahamastakabisheka takes place once in 12 years. 80 kms from Mysore or 27 kms form Somanathpura is the island town Shivansamudram. 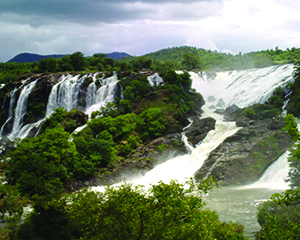 the twin waterfall (350 feet), Gaganachukki and Barachukki are the most alluring spots near the island. It was here that in Karnataka State first to produce electric power in the year 1902. 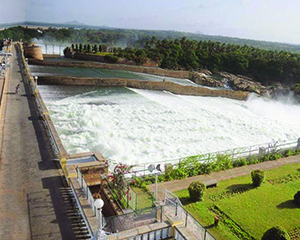 Mahatma Gandhi Hydro Electric generating station- first of its kind is situated here. Situated 156 kms from Mysore, 40 kms from Hassan this prime attraction is 12th Century Hoysala temple constructed by the Hoysala King Vishnuvardhana. Lord Chennakaeshava temple, where Lord Vishnu deity is worshpied daily. It will be long lasting memory if one gets an opportunity to witness the rituals either in the morning 10 a.m or evening 7 p.m. 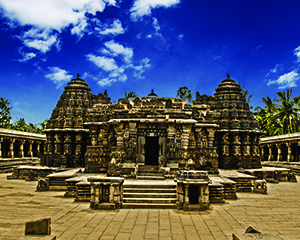 This temple is considered as the finest specimens of Hoysala artistic and ehgineering excellence. It's great works in stones has representations of sages, birds, cultural & social life of that period. There are 650 charging elephants on frieze around the walls outside, which are all different from each other. This temple is open from sunrise and sunset and there is no entrance fee. Non-hindus are not allowed in the inner sanctum of the temple. 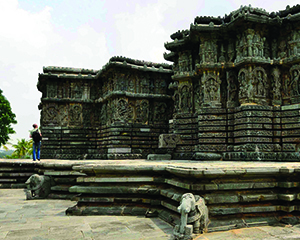 Hoysaleshwara Temple is the major attraction. This incomplete Hoysala temple is the most outstanding specimen of Hoysala Architecture. The temple construction began in 1121. Even after 80 years the temple was not completed and from that time routine rituals started and the temple started to function. its open daily morning till evening and the entrance is free. 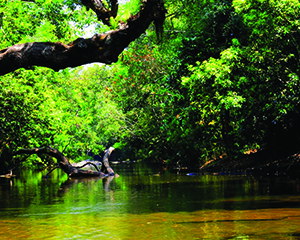 Situated 18 kms from Mysore city and is one of the best places in South India. The dam was built by Late Sir M Vishveshwaraiah across the river Cauvery during the regime of His Highness The Maharaja of Mysore Sri Chamaraja Wodeyar IV, is capable of holding 44,000 Million cft. Just below the dam is Brindavan Gardens having lush green lawns, concealed lighting, recently renovated and refurbished dancing and musical fountains are the main attraction here. The best time to visit this garden is between 4 pm & 7 pm Monday through Sunday. Please ensure you reach the gardens with your own mode of transportation, though the Government or Private run bus facility is available. Brindavan Gardens provides boating facility for those persons who like to go boating. 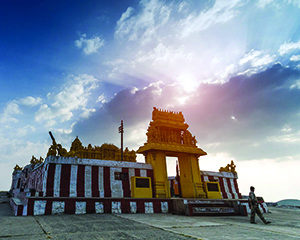 About 133 kms from Mysore, a famous pilgrimage place has a temple dedecated to Sri Mahadeshwara and attracts large number of devotees from all over the country during the festivities. Rathothsava will be held during Karthikamasa and Shivarathri.. It is exactly located between Hunsur and Madikeri. This settlement with the patronage of the Indian Government flourished a lot and contributes much to the properity of this part of the world.Bylakuppe is one of the main settlement areas with an assemblage of 20 villages. 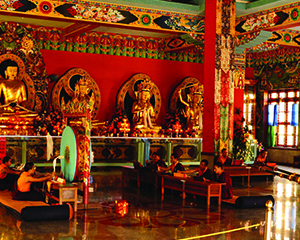 The newly built enormous monastery encapsulates the cultural and religious medley of this region. The Golden Temple is worth a visit. 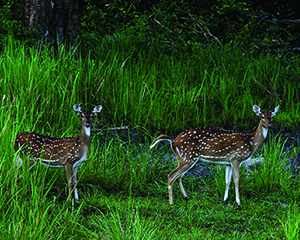 Just 80 kms from Mysore City, is one of the wildlife sancturies listed in Project Tiger, a programme conceived by World Wide Fund for nature, intently focused to save Tiger extinction. This park is adjoining the Madhumalai Sanctury of Tamilnadu and is seperated by the River Moyar. The suitable time to visit green extravaganza is during November and February. 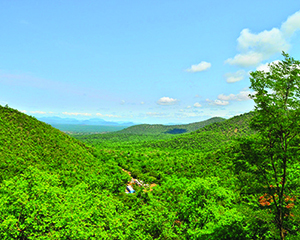 Situated about 120kms from Mysore city via Chamarajanagar, the Hills (Highest point is 5091 feet above the sea level) are thickly wooded. Elephants, bison, deer, sambar can be found in the Dravadian style of Architecture. Jungle Lodge Resort is situated in Kyathedevaragudi, which is very close. Situated in Kushalnagar on the banks of the River Cauvery, has a hanging bridge across the River and rooms with interiors comprising of wood & bamboo gives a very natural atmosphere. 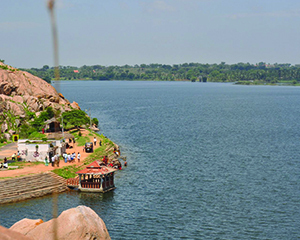 This small town situated on the Banks of River Kapila, one of the tributaries of River Cauvery. Temple of Sri Nanjundeshwara is the main attraction here. It is Built in Dravidian style and is supported by 147 columns. The car festival by the end of March is very famous. 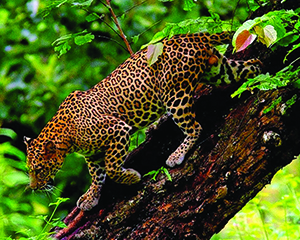 Situated 93 kms South West of Mysore, this 643 Sq.kms Wildlife Sanctury is the natural habitat of tiger, elephants, leopards,gaur, wild dogs, langur, bisons, panthers, jackals, and hundreds of varieties of magnificantly plumed colorful birds. Ideal time to visit this breathtaking beautiful place, manisfestation of nature is during April May or November- February.